Unique jewerly Collection Wear and Go! Unique pendants HimanimusThere are 5 products. Unique handmade pendant for men with an "OHM" sign. The pattern of a pendant is handmade from Cernit and Fimo Clay. Unique handmade pendant for men with a unique designer's pattern in silver-grey colour. The pattern of the pendant is handmade from Cernit Clay. 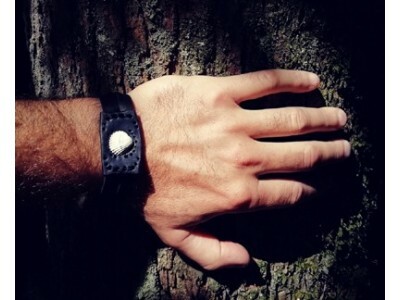 The pendant is made from skin friendly materials which are nickle-free. Unique handmade pendant for men, fiev sided, with unique designer's pattern. The pattern of a pendant is handmade from Cernit Clay. Unique handmade pendant for men with a real sea shelf. The pattern of a pendant is handmade from Cernit and Fimo Clay. Join Unikatnica also on Facebook!